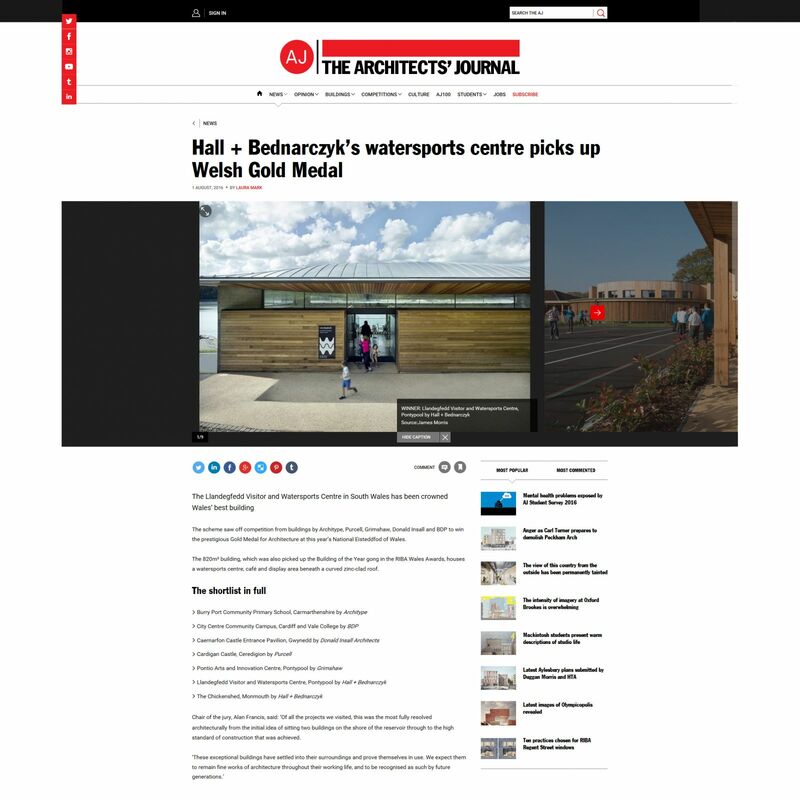 Wales’s most prestigious architectural award, the National Eisteddfod Gold Medal for Architecture has been awarded to Hall + Bednarczyk for Llandegfedd Visitor and Watersports Centres. The ceremony was televised on S4C and BBC’s iPlayer. It was a great honour for us.